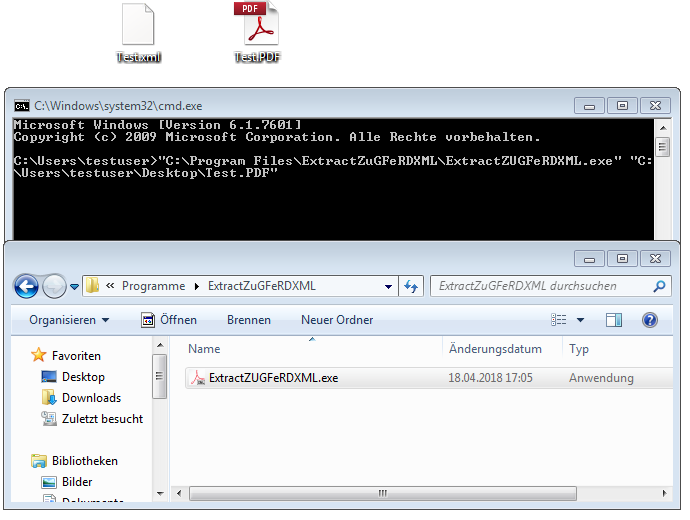 The eDocPrintPro ExtRen (Extract & Rename) Plugin makes it possible to read texts from the PDF printout and use them for file storage / file naming as well as for sending emails. 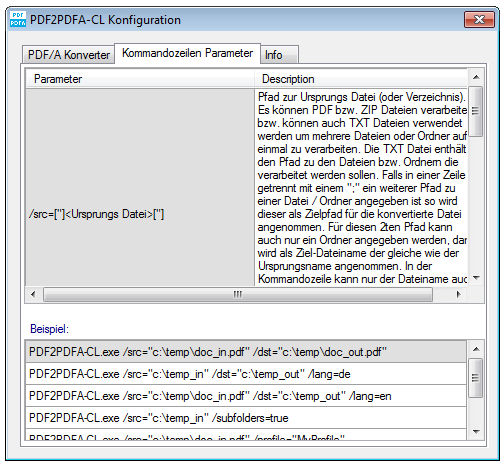 The eDocPrintPro EMail Plugin enables the PDF printout to be sent interactively or silently via email. 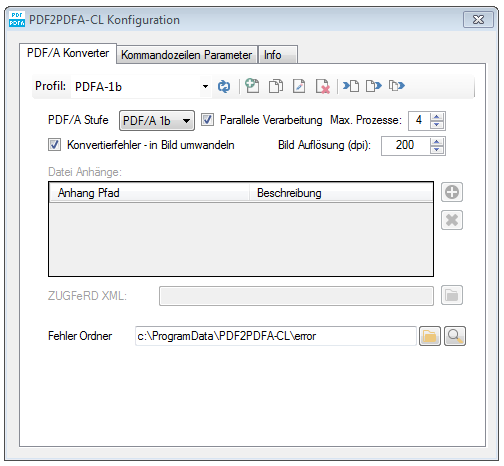 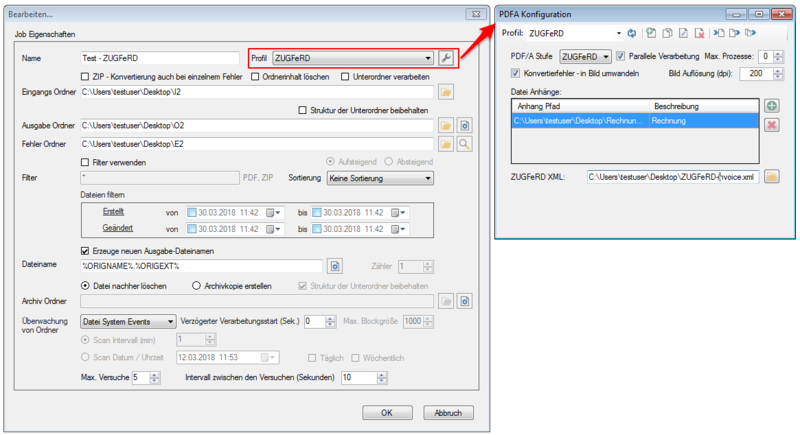 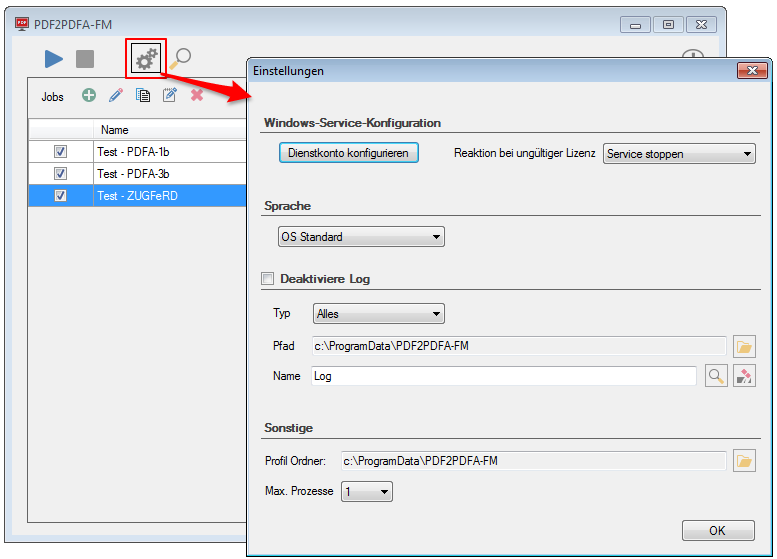 PDF2PDFA-FM is installed as an MS-Windows service, can monitor multiple folders based on our PDF/A converter component and is used to automatically convert PDFs to the PDF/A-1b, 2b, 3b or ZUGFeRD format. 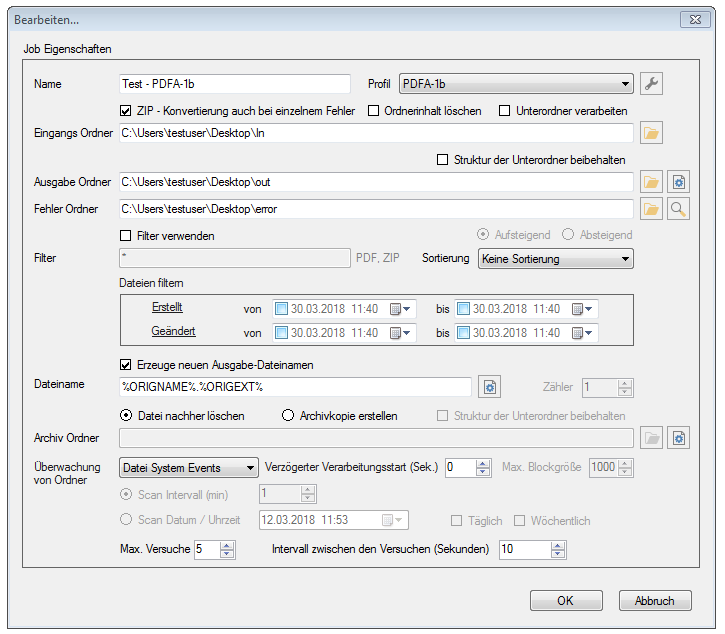 Multiple jobs can be created to monitor multiple inbox folders. 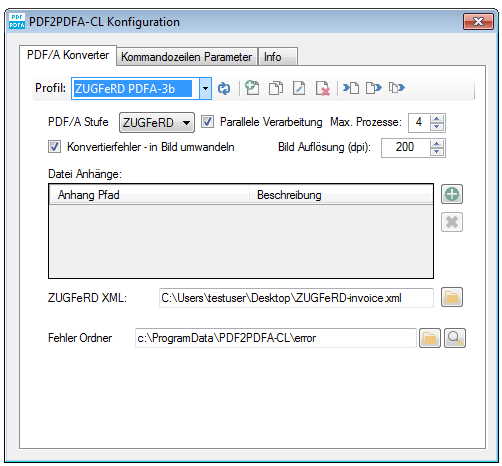 Embed external files as PDF attachments (PDF/A-3b and ZUGFeRD). 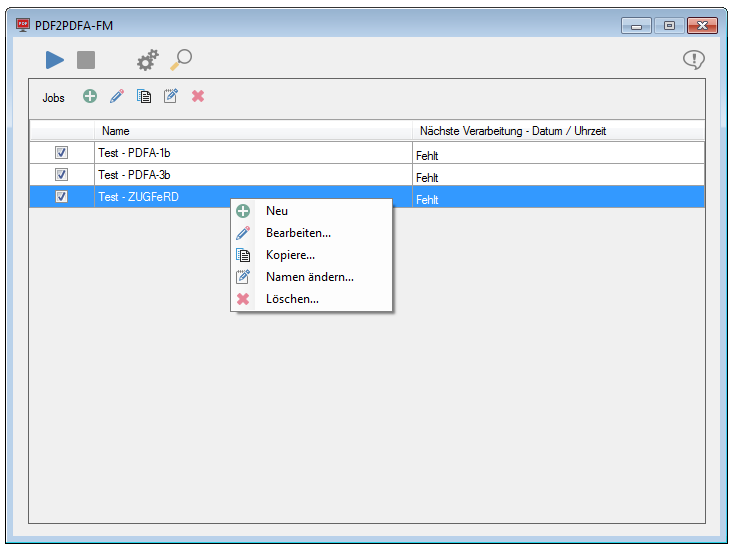 File processing via Filter – Name, Extension, Created from / to, Modified from / to.